Canada entered into renegotiation with the United States and Mexico on the North American Free Trade Agreement (NAFTA). 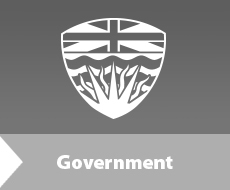 As a result, the Province sought input from stakeholders across the province to help inform B.C.’s position and priorities at the upcoming renegotiation. While the NAFTA renegotiations were conducted at the federal level by Canada, the US, and Mexico, there was an opportunity for B.C. to provide input to the federal government on the Canadian positions. We were interested to hear about your experience with, and in, the United States and Mexico, and whether there are any interests or concerns you and/or your stakeholders believe should be considered in the negotiations. Submissions were accepted via email. Submissions may be made publicly available on the Ministry website unless the author specifies otherwise.